The other day, Phil Fleming was loading up a car in the parking lot of the Costco in Juneau. He said a salty version of something you may have heard before. But is it the smallest Costco in the world? “As far as I can tell, that is true, yes,” said Costco Wholesale Assistant Vice President Kevin Green. He oversees the warehouse club chain’s northwest regional operations. He said that’s out of 770 Costco locations on four continents. There was some wiggle room in his initial answer, so I pressed him. “Are there other ones that are close that leave you some doubt?” I asked. “No. Absolutely not,” Green said. Green said the Juneau Costco, built in 1993, was a prototype, one of only a few that small. There was also one in Sequim, Washington. A full-sized Costco eventually replaced that one. 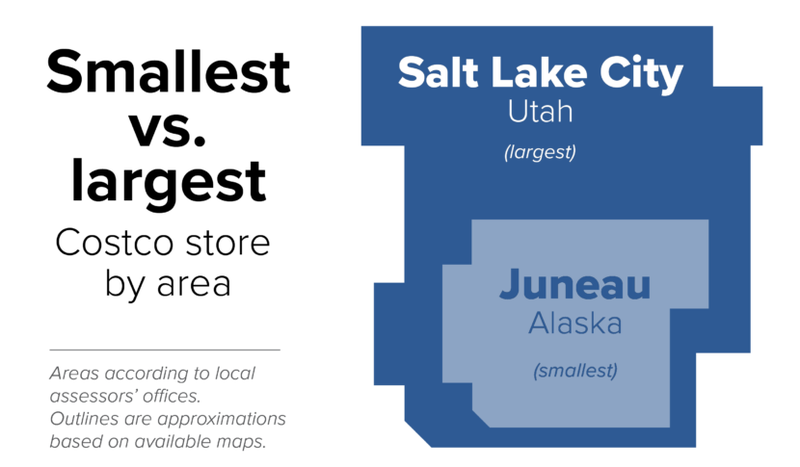 Juneau’s Costco is about half the size of a typical store, which is around 160,000 square feet. Like the one that opened in Fairbanks in November. And it’s only a third the size of the world’s biggest in Salt Lake City, Utah, which was also a test build, Green said. It opened in 2015. In Juneau, Green said the geography limits growth and makes shipping challenging. But it is a profitable store, with 2-to-3 percent growth per year and 100-plus employees. Back in the parking lot, customer Steve Houlihan ventured a guess about why Juneau’s store can cut it. There is one patron, about 70 miles away by boat, who’s about as transparent as can be about his dependence on Costco: Toshua Parker, founder of ToshCo. 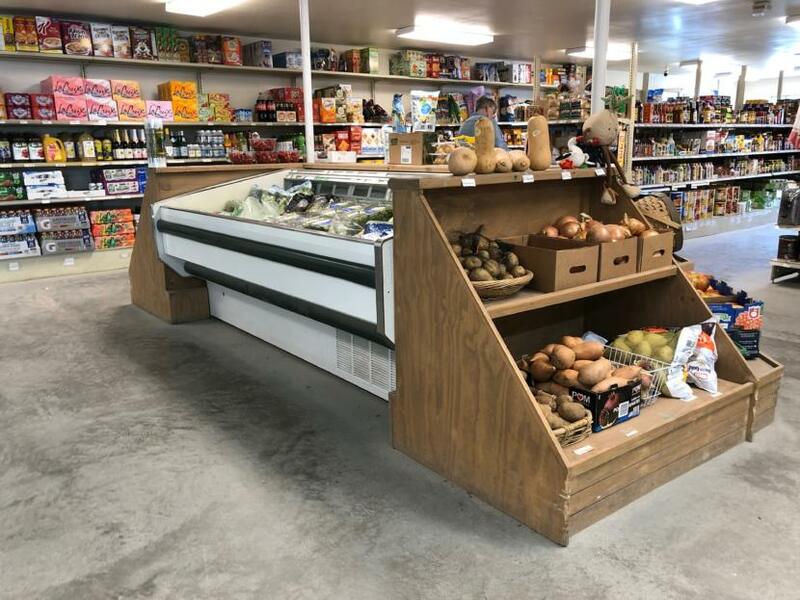 He said the hardware and grocery store in Gustavus is about eight years old now. When he started it, it was named Icy Strait Wholesale. But the community promptly rebranded it. Parker said Costco’s store-brand products are pretty ubiquitous in Gustavus, which has a year-round population of about 450. But Caroline Malseed in Juneau thinks she’s missing out. Juneau’s not actually missing out on that much. Green said there are about 3,200 products in Juneau’s warehouse. A typical Costco warehouse has about 3,800 products at a time. That’s a small fraction of the selection at a typical big-box everything store — and part of Costco’s strategy for controlling costs. The company did explore a 12,000-square-foot expansion in 2006, though it never happened. Green said it’s still a possibility, but there are no current plans. Fleming is OK with that. “I can’t say — maybe if I saw a bigger one, then I’d be, ‘Oh yeah! We gotta have a bigger one!’ Right now I’m pretty, pretty gruntled with it,” Fleming said. I asked Green to weigh in on one more Costco controversy: Within the store, do you shop clockwise, or counterclockwise? Have your own Curious Juneau question? Submit it, subscribe to the Curious Juneau podcast, and catch up on past curiosities at ktoo.org/curious.